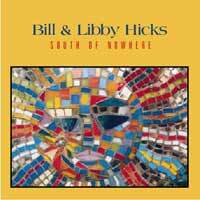 B&L CD "South of Nowhere"
Bill's solo CD "The Perfect Gig"
Wanna get on Bill & Libby's mailing list? Drop us your email and it's done. Even if you forget to drop by the site, you'll know when and where we're playing. 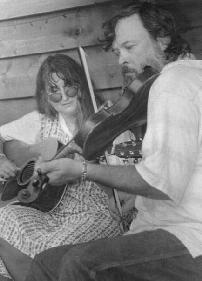 Bill and Libby Hicks started playing music together in 1982--Bill on fiddle, Libby on guitar. They married in 1984, and spent the next ten years or so raising their daughter, Anna, who turned 25 back in September, '04. Through the years they helped form several string bands, and in the late '90s, while they were residing on Ocracoke Island, NC, they began to develop a duet "show" as well as being members of the cajun/zydeco band Unknown Tongues, which is based in Gloucester, NC, across the Pamlico Sound from Ocracoke. The duet show developed in the context of restaurant and club gigging and includes a wide range of vocal genres: the old "brother" duet singing of the Louvins and the Delmores, blues, rhythm and blues, western swing, and a number of their own originals which are almost uncategorizable but evolve out of their solid traditional roots. Bill and Libby may start a typical show with a riproaring tune from Tommy Jarrell, then follow with Si Kahn's "Go To Work on Monday," Fat's Domino's "I'm Walkin'," the Louvin's "Here Today and Gone Tomorrow," Bill's own "Uncle Charlie's Revenge" (based on a Tommy Jarrell story about how his uncle Charlie tossed a fiddle up in a tree and then shot it down), and end up with Libby's original Ocracoke inspired "Take Your Heart With You When You Go." They sprinkle in various fiddle tunes, and on occasion Libby will switch to piano or Bill to guitar. They play what they love and don't write set lists. Libby started playing piano as a kid, but took up the 88s again when she and Bill began to play contra dances in the late '80s around Chapel Hill. Their contra dance work remains a significant part of their schedule, and they are regulars at dances in Greenville, Wilmington, and Beaufort, NC, and in Norfolk, VA. When Bill and Libby have toured they will often mix in a schedule of dances and singing shows, as these can be arranged. Libby and Bill also teach traditional music. They have each taught at the Augusta Heritage Workshops in Elkins, WV, some five times since the early '90s. Last year they also taught at Allegheny Echoes in Marlinton, WV. 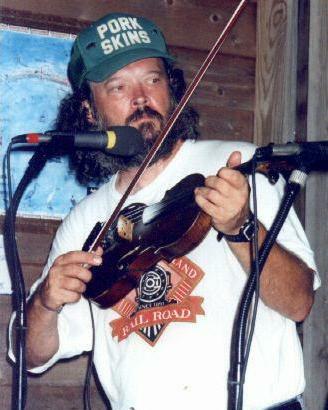 Bill usually teaches fiddle at these weeklong workshops. Libby teaches her remarkable backup guitar style, and has also had a lot of success in encouraging people to have the confidence to play. 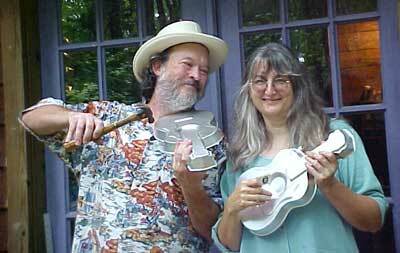 Bill and Libby have co-taught workshops on building a string band as well. 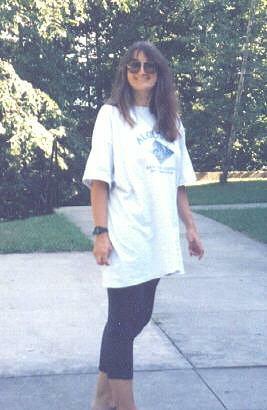 In 2000 Libby and Bill produced their first CD, on the Copper Creek Label South of Nowhere. It features their range of music-making--blues, swing, hot tunes and originals (including "Uncle Charlie"). Libby had for years encouraged Bill to take up songwriting again, and in the late '90s he managed to get that going. In 2002 he self-produced a live recording of some of his songs, The Perfect Gig. Set in a bar in Chapel Hill, it's hardly perfect, but presents some seventeen originals in a solo context. Bill and Libby left Ocracoke in the spring of '04 and returned, full time, to their cabin home in northwest Chatham County, NC. 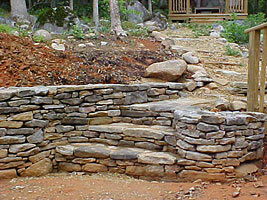 Bill continues to build stone walls. 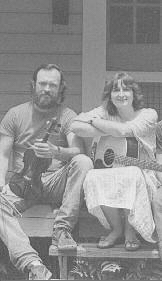 Both Bill and Libby collaborate on occasion with other artists; they continue to enjoy making music together and performing together as much as ever, with frequent performances around North Carolina. "Over the 22 years since Bill Hicks left the Red Clay Ramblers, he has continued to develop as a fiddler, and, as his recent albums demonstrate, a songwriter. He has spent much of that time working with Libby Hicks. They provide a powerful and delightful link to Chapel Hill as ground zero for the string band music revival, and a reliable source for excellent new music in the roots tradition." --Art Menius, Durham Independent, August 21, '03. Bill and Libby showed how their unique treatment of mountain and blues music can really hit home. It's lively, warm and irreverent, but still down-home and authentic. Our friends loved it, and so did we. I think everybody would have listened all afternoon and evening if we had let them. --Neal and Sandra Jackson, on Bill and Libby's appearance in a private show at their house in Washington, DC. Bill boasts one of the state's most impressive musical resumes: He was the fiddler for Durham's seminal Fuzzy Mountain String Band and a founder of its successor, the Red Clay Ramblers. Here, he demonstrates the remarkable flexibility of his fiddling. Bill can power a robust dance tune, then easily switch to an evocative, softly melodic violin part to accompany his own story songs such as "The Island Rockers." Libby, who provides solid guitar and some piano, spent eight years as half of a "brother duet" with the acclaimed Lightnin' Wells. . . . [Bill’s] four songs make South of Nowhere extraordinary rather than merely well conceived. On "Anasazi Premonition" and "Turn Out the Lights," Bill's songwriting compares, most favorably, with the RCA Victor recordings of the late John Hartford and the classic work of Kris Kristofferson, respectively. His own vocals, rough and world weary, prove utterly convincing, with Libby's lighter and more precise voice providing a perfect foil. Like its cover, South of Nowhere proves to be a fascinating musical mosaic: rich in depth, feeling and variety, running the gamut from traditional dance music to serious singer-songwriter material. –Art Menius, Durham Independent, June 2001. Libby’s blues vocals on "It Hurts Me Too" and "Big Road Blues" make these songs her own creation and the guitar work will rival any Mississippi Delta wanderer. Their daughter Anna joins them on several songs and their harmonies together are seamless and a joy to hear. This CD is like peeling and eating an orange; there are wondrous parts to be savored and it is worth the time to take each song and hear it over and over and extract the many nuances in each segment. –Northern California Bluegrass Society review of South of Nowhere. …there are moments of vision in the most unexpected situations, (like "The SOB in the Carvel Truck" that passes him on the right and makes him swerve into the twilight zone) that reveal a glimpse of the truth and beauty of our ephemeral lives, which is always right there under our noses, just out of reach, or maybe not. –Laird Baldwin, Amazon.com customer review of Perfect Gig. 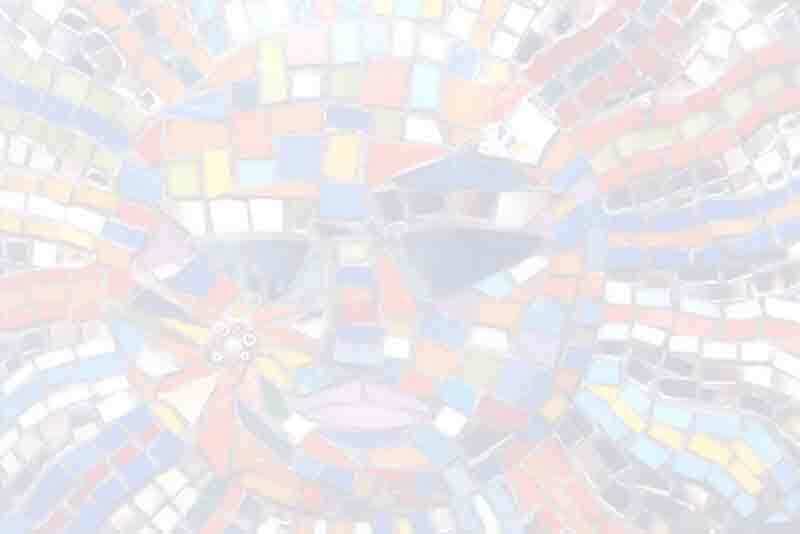 “By Half” poetically weaves a brick mason’s craft with mathematics to tell the story of a love that got away; how often does one find bricks in a love song. “Were They Happy?” contemplates a street bum who, with a razor blade, carves roses from palm fronds for tourists. Hicks reprises his “Play ‘Rocky Top’” from his Ramblers days, delightfully fresh after all these years. . . . It’s been nearly two decades since Hicks left the Red Clay Ramblers to focus on life as a father, fiddler, husband and stone mason. From the exceptional, thought-provoking lyrics found throughout The Perfect Gig, it is obvious that Bill Hicks is the sum of all the many facets and interests that make him tick; inextricable components that allow him to venture far beyond superficial concepts. Extraordinary. –Stephanie P. Ledgin, Sing Out! 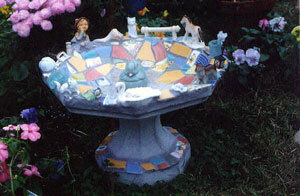 Libby is also a glass artist, mosaic and fused, and creates pieces on commission and as the spirit moves. She and Bill and working on building a studio space at their home in Chatham County.Her art appears via photography on the cover of South of Nowhere.